I was raised in the San Francisco Bay Area and graduated from CalPoly, San Luis Obispo with an undergraduate degree in Landscape Architecture and a Master degree in Business Administration. 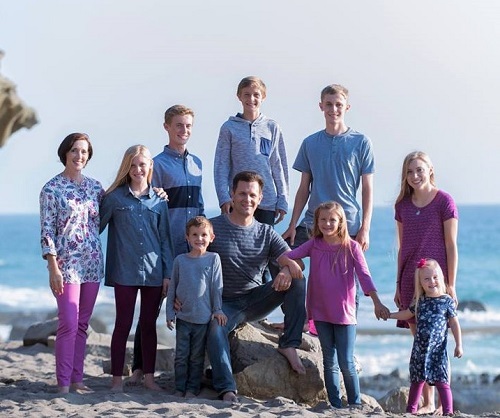 After working at companies ranging from start-ups to Fortune 500 companies, I spent 15 years running a small family business in South Orange County. During that time, I was able to purchase, renovate, rent, and/or sell 25 properties in three states. Real estate started as a hobby for me and I have been fortunate enough to make it a career that I enjoy. Satisfied clients are Priority One. I measure my success by how satisfied my clients are at the end of the day. Whether I'm working with a seller, buyer, landlord, or tenant, I strive to give the most customer-focused attention possible. The sellers I work with can expect a concerted effort in getting their home ready to market, a customized marketing plan, maximized exposure, and continued support through the escrow process. For those buying a home, I realize that the perfect home may not be on the market, or may not have been built yet. I spend as much time finding potential sellers for the perfect home, as I do previewing and searching existing home inventory. I am also well versed on new homes under construction, so that my buyers have as many options to choose from as possible. I bring the marketing brochures to them and discuss the communities so that they can decide which homes are worth going to see. The landlords I work with can expect that I will market their lease effectively and help them select the most qualified tenant. I then manage these properties with the goal of asset preservation and long-term equity growth. The tenants I work with can expect that I will find and secure the best living arrangement that meets their personal, financial, and lifestyle goals. I have closed over $50,000,000 in real estate sales since 2011. As a Broker Associate with First Team Real Estate and Christie's International Real Estate in California and Realty One Group in Arizona, I have the best resources available in this market.